Made with a combination of coconut, quinoa, and rice flour, this gluten free carrot cake brings together the flavours of cinnamon, nutmeg, and vanilla with just a hint of cloves. The crushed pineapple and shredded carrots make it moist and keep it tasting fresh for days – but then, it’s so good, you won’t need to worry about that. Recipe for not-too-sweet icing included below. Preheat oven to 350 degrees and grease the bottom of a 9 x 9 inch pan. In large bowl, sift together sugar, flours, xanthan gum, baking soda, baking powder, salt, and spices. Make a well and add oil, eggs, carrots, pineapple, vanilla, and pineapple juice. Mix to moisten and then beat until well mixed. Pour into pan and spread evenly – the batter will be quite thick. Bake for 35 minutes or until a toothpick inserted in the center comes out clean. Ice with cream cheese icing (recipe below) or with dairy free icing. Beat on medium speed until light and fluffy. This entry was posted in Baking, Recipes and tagged Cake, coconut flour, dairy free, gluten free, quinoa flour. Bookmark the permalink. Yum! I love spices in cakes and this combination looks lovely. How do you find cooking with coconut flour? I read somewhere that it’s super absorbent, but that it also helps retain moisture in baked goods. I’ve not tried it myself, though. It does really absorb the moisture in a recipe – like potato flour does. I wouldn’t use it for more than, say, 25% of the flour mix, but it TASTES GREAT and does seem to keep things moist – which is always a challenge with GF! Thanks so much for the reblog! This would make a great birthday cake. HAPPY BIRTHDAY! when they stop for coffee muffins work great. Thanks! Glad you enjoy it as much as we do. This looks absolutely delicious! I’ve recently ended my relationship with gluten, so I’m looking forward to trying your recipes! Thanks for stopping by notesfromj. And thanks for visiting gf and me. This is one of our favorite recipes. Best of luck with your new gluten free lifestyle! worked well and much easier. I’m always looking for the easy way. Wow, this looks fantastic! Yum! Thanks. It is a great cake! GF and me, I just wanted to stop by and thank you for stopping by my blog. 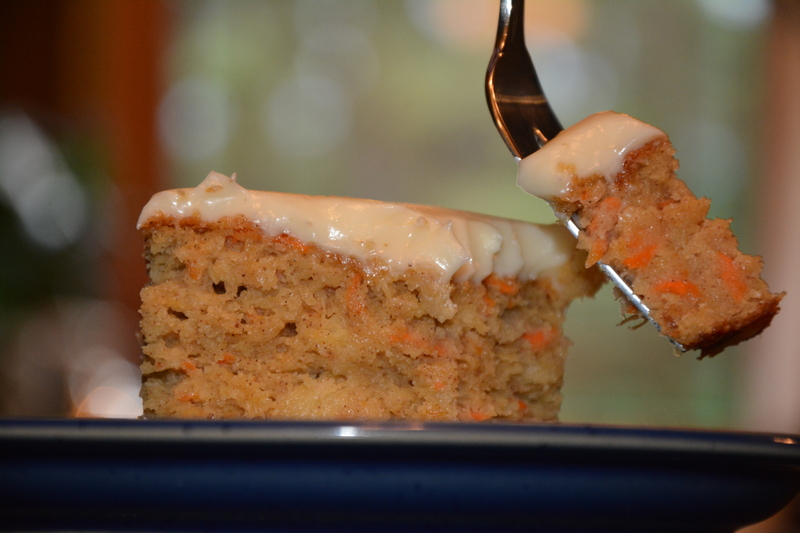 Your profiterole, as well as this carrot cake are going to be a must try in our house. Both my daughters are intolerant, my youngest extremely so. (but not celiac) With her going off to college, I’m sure I will be baking and driving treats to her! I’m bookmarking your blog so I can be sure to check in on more yummy posts! This looks so delicious, I can’t wait to try it! OMG I so want to make this right now. I have no carrots, are you thinking what I am? A pineapple cake…a pineapple apricot cake???? Ok going into the kitchen and I’ll let you know how it turns out lol. Already done, needs a redoing lol! I need more liquid. The batter left a fork or spoon mark wherever I put it, it didn’t budge. A little worried that more liquid will leave it too wet in the center of the muffins. Oh I made muffins with the recipe. I’ll let you know about the next try out! Did you use the same flours and add the pineapple juice? How was the flavour with the apricots? Thanks so much for the reference and kind words on your post! Much appreciated! Hope your readers enjoy the cake as much as we do. Hi Beverly. I would try using a rice flour as a substitute.